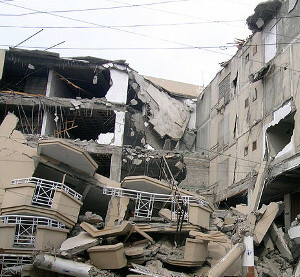 The remains of the Evereds Buildings at Site-21 after an attempt to send a remote drone to E-9056a7, an instance of SCP-4800-A. 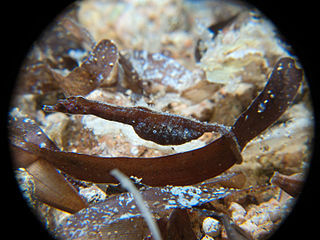 Acentronura tentaculata. This species did not exist prior to an SCP-4800 occurrence in 2001. After SCP-4800, the resulting timeline will have elements of both instances of SCP-4800-A's histories. Events that the two timelines have in common will remain intact and not repeat1; however, individual elements2 will be included in the resulting timeline. No evidence of SCP-4800-related phenomena have been preserved; it is believed that SCP-4800 reverses the timeline to the beginning of the phenomena3. SCP-4800 will generally target timelines with less than 43° of difference. No other common factors have been discovered in SCP-4800's choice of target universe. The current timeline has been the subject of several SCP-4800 events, which have been catalogued in Addendum 02. It is estimated that over 3000 timelines in the LTG4 are currently undergoing SCP-4800. Meeting of representatives of the Multiversal Foundation Alliance to decide upon a consensus definition of SCP-4800. Sensitive information expunged. SCP-4800 was first discovered after the Foundation was contacted by SCPF-7a5f7b5 in early 1986. SCPF-7a5f7b had been observing our timeline's history, and shared information that proved that several new events were present that had not existed before 1986. It was also shared that our universe had been inaccessible to them for 23 years, and that these events began to exist after this period. However, SCP-4800 was first observed by the Foundation after the development of DEEPWELL servers6 in 1990. At this time, documents related to consensus world history were stored on DEEPWELL servers. Comparison between documents stored on DEEPWELL Server #987 and current consensus world history by AI construct ERIS.AIC revealed that several events had occurred that did not align with the past timeline. This, combined with evidence provided by SCPF-7a5f7b, lead to the direct observation of E-5b0b3a and E-904ff2, two alternate timelines that were inaccessible for reasons unknown at the time. After the dissolution of E-904ff2 and the history modifications made to E-5b0b3a, SCP-4800 was classified. 1. For example, the formation of Earth or the evolution of Homo sapiens. 2. Such as certain events or decisions. 3. As a result, SCP-4800-affected timelines will lag behind other timelines. Due to the rate of SCP-4800 occurrence, this time difference will eventually equalize. 5. Designation for an alternate timeline's version of the Foundation. SCPF-7a5f7b developed multiverse transversal technology earlier than the baseline Foundation, and was instrumental in accelerating the baseline Foundation's technology to allow for multiversal travel. 6. DEEPWELL servers are specialized data storage servers that are able to preserve information across shifts in reality. They function by encoding their information on a two-dimensional object isolated into both of the temporal dimensions, rather than using hard-drives in the three spatial dimensions. A limitation of this is that DEEPWELL servers are unable to preserve limitations across temporal shifts; due to this, DEEPWELL servers can retain information about history prior to SCP-4800, but not events after SCP-4800 has begun.